It’s super cool and fascinating, and the structure allows for some amazing questions. There’s the run of the mill immortal quandary: What do you do to keep life interesting if you’ll never die? Harry becomes a scientist, doctor, engineer, world traveler, etc. He learns everything, he meets everyone, he gets married a few times in different lives to different women. He is captured, tortured, and dies in a whole bunch of different ways. But the more interesting question that can only be asked within this plot setup: What morals are you held to if you know that no matter what you do, you will be reborn, the world reset and no one really harmed? Harry kills a couple people, for varying levels of intelligible reasons, and in his next life, there they are again, unchanged and unremembering. Does murder, then, really matter? Does love? SO INTERESTING, you should read it. The really remarkable thing about this book, however, is that the fascinating setup is soon eclipsed by one of the most interesting relationships in all of literature. Maybe I’m exaggerating because of, as I said before, omg all the feeilngs, but Harry and Vincent wrenched my heart. Vincent is like Harry, reborn into his life over and over again. They are best friends, worst enemies, and in every life they make me crazy. Perhaps it is because the stakes are so much higher, their friendship feels epic. They hate each other almost as much as they love each other, and their intelligence and lifetimes of experience make them equals in deception and manipulation. Although the book ended in the only way that is really acceptable, I find myself desperate for an alternate ending. I want MORE. …Maybe I’ll just read this again. Immediately. This is the story of what Harry does next–and what he did before–and how he tries to save a past he cannot change and a future he cannot allow. Hi! I’m trying a new thing with my blog where I link to other reviews of a book I read (partly as an attempt to expand my own book-blog horizon and partly to help others who stumble across my page to get other opinions). 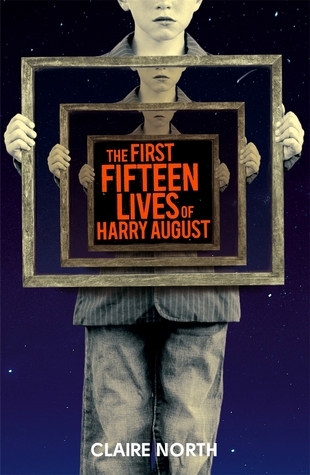 I just uploaded my own review of Harry August and I linked to your blog. If you’d prefer I remove the link I of course will. I totally agree about the ending. I’m sorta hoping that Vincent managed to pass along a message to one of his older colleagues and Harry is waylaid in his abortion attempt and somehow they both live and continue to vie against one another. I’d love more from this story/world. “Positive, gushy, but also thoughtful.” Haha! I love this description of my review…I think it is a fairly accurate description of my blog in general! Of course you can keep the link up – I’m honored to be included. 😀 Yeah, I enjoyed browsing some of your other posts and definitely appreciate the positivity and enthusiasm you bring to a variety of topics! I’ll definitely be checking in periodically.